HomeInspireNATURE’S WRATH OR GOD’S JUDGMENT? Do you think the recent earthquake in Nepal is God’s warning to its people? Some believers echo the stand made by “prophets” that God’s judgment is on earthquake-hit Nepal. This erroneous, simplistic belief needs correction. Truth be told, natural disasters can happen anywhere to believers or pre-believers alike. Consider these seismically unstable regions with recent earthquakes: Indian Ocean earthquake (with tsunami, 2004), decimating hundreds of thousands in East Asia (Indonesia, Thailand and Sri Lanka), the earthquake in Haiti (2010) and the earthquakes in New Zealand (2011) and Japan (with tsunami, 2011). Has God been angry with these countries and spared our country, Malaysia, because we are more holy? No. Being in a relatively stable zone does not make us more holy in God’s eyes than the above countries or Nepal, which is also seismically unstable, thus accounting for its recent earthquake. When evil befalls another, we should not think that we are more holy than the afflicted just because we have been spared of sorrow. We are all sinners—not only those hit by calamity—and will perish unless we repent (Luke 13:1-5). Though earthquakes have been in existence since time immemorial, its frequency has been escalating in recent times. This is in keeping with the massive shaking that is coming upon heaven and earth, warning all men everywhere to repent, not only the nations affected by earthquake (Hebrews 12: 26-29). 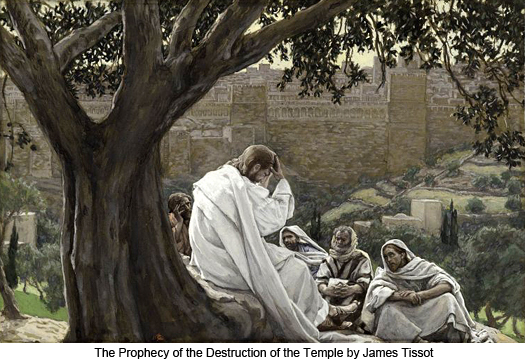 Jesus warns his disciples in the Olivet Discourse that, before He returns, there will be increasing turmoil and upheaval in the world. Together with wars and famines, earthquakes signal the ‘beginning of the end’ of the age (Matthew 24:7-8). These ominous portents are like birth pangs, which must occur before we enter a period of greater horror than anything the world has ever seen or will ever see—the Great Tribulation (Matthew 24: 21). We live in a fallen world where many things can go wrong. Whether we are holy or sinful, bad things can happen to anyone. We may be robbed and fatally stabbed while walking to our parked cars in a shopping mall. Over 300 perished when a tornado swept through the Bible belt of the United States in 2011. Not long ago, many church members from an Indonesian church perished when the plane they were travelling in crashed into the Java Sea. Is it possible for us to figure out everything that happens in this world? Some events just don’t make any sense. “The race is not to the swift or the battle to the strong, nor does food come to the wise or wealth to the brilliant or favor to the learned; but time and chance happen to them all. Moreover, no man knows when his hour will come: As fish are caught in a cruel net, or birds are taken in a snare, so men are trapped by evil times that fall unexpectedly upon them” (Ecclesiastes 9:11-12). The purpose for writing this article is to promote greater dialogue and understanding through social media so that people do not simply accept “prophetic voices” without critical thinking. Furthermore, Christians need to embrace a worldview that reflects God’s heart of compassion. Otherwise, the whole Christian community might be demonised as insensitive and uncaring by others, especially those afflicted by the earthquake in Nepal. Whenever catastrophe strikes, we must not immediately conclude that the affected nation must have incurred God’s judgment. Among the afflicted are many innocent children who are most unlikely candidates to incur divine wrath. Who can be absolutely sure that God’s heavy hand is upon this or that earthquake-hit nation? Why burden the afflicted in Nepal with false guilt by making ‘holier than thou’ pronouncements? What they urgently need at this moment are tangible support—such as food, medicine, tents—and empathy, not sermons. The “prophetic” voice about God’s judgment on this tiny, land-locked, impoverished nation at this time of mayhem is uncalled for and inappropriate. When we spend a lot of time watching, we tend to forget to be watchful. What does it mean to be watchful? (It is thought that some Galileans, while offering sacrifices at the temple in Jerusalem, were killed by Pilate’s soldiers and their blood was mixed with that of the sacrifices). Why are we scared of darkness?